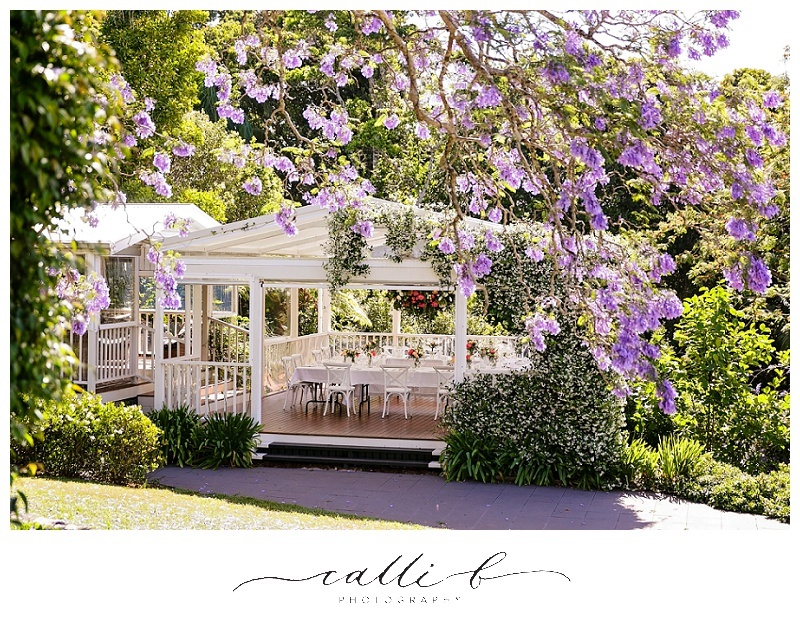 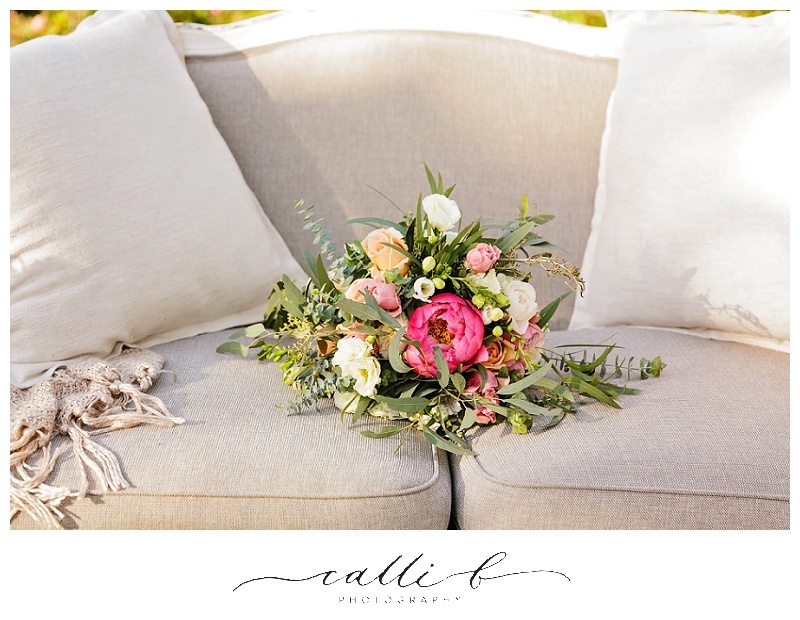 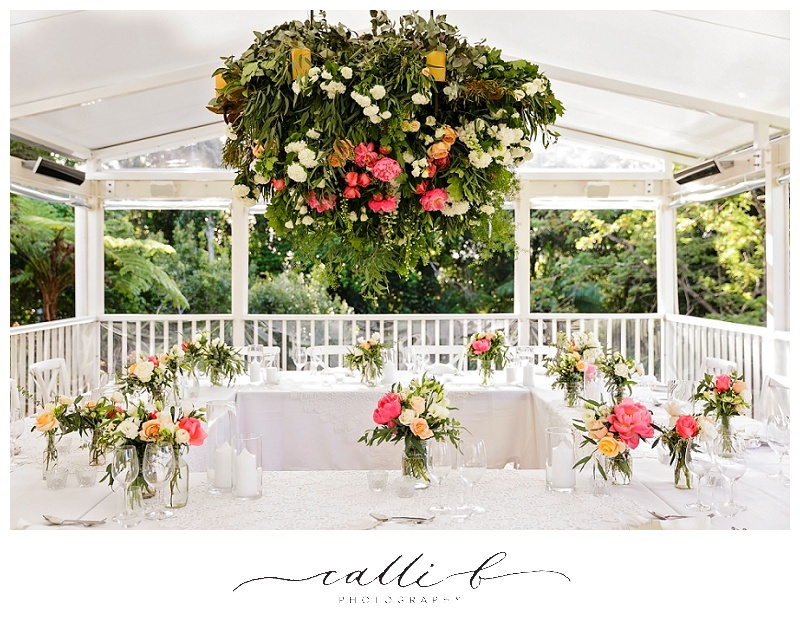 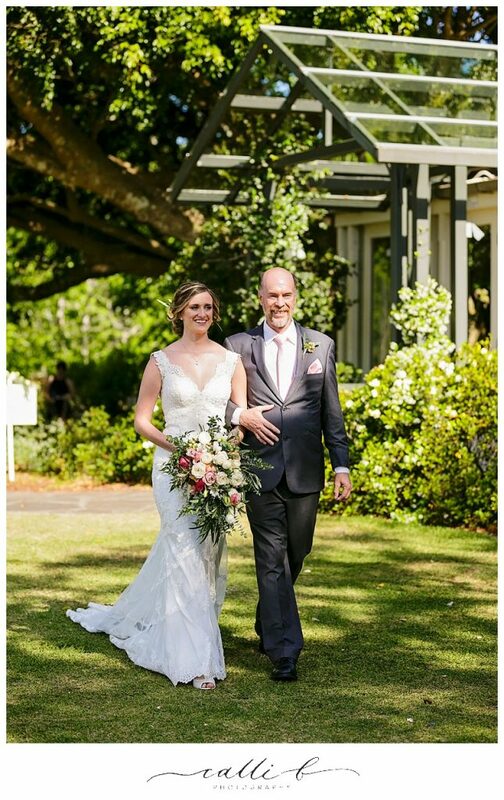 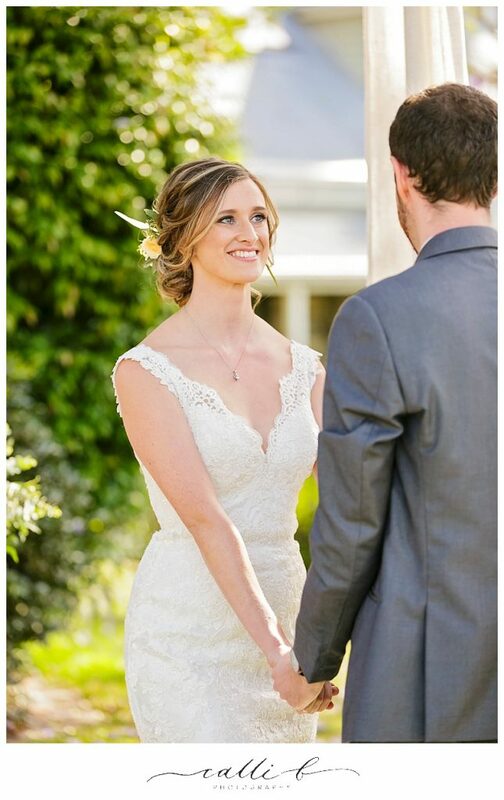 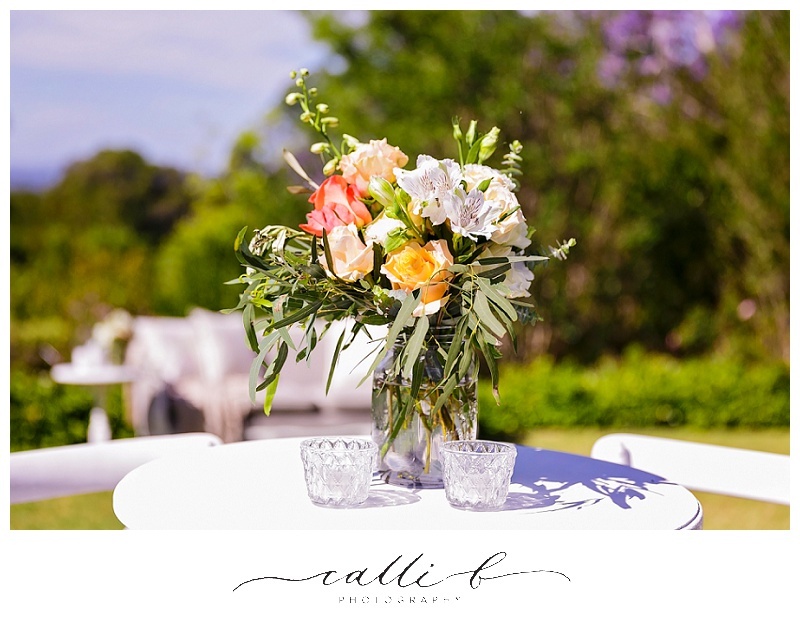 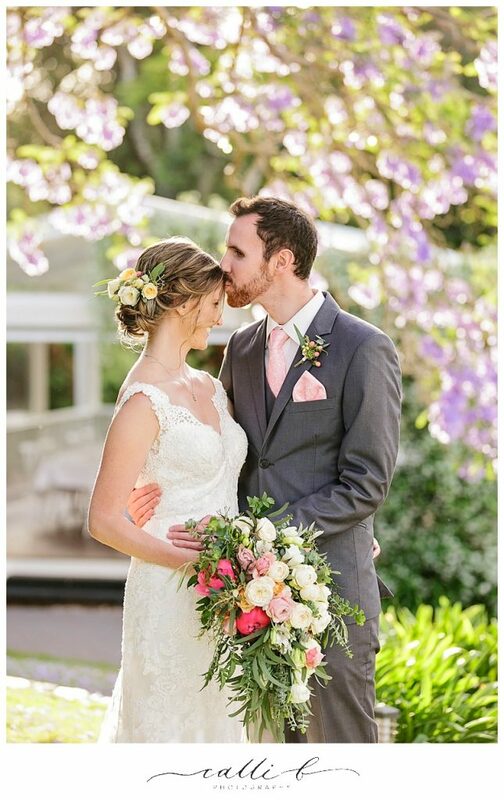 It was a gorgeous summers day in November when Lily and Taras hosted a beautiful intimate style wedding celebration at gorgeous Spicers Clovelly Estate. 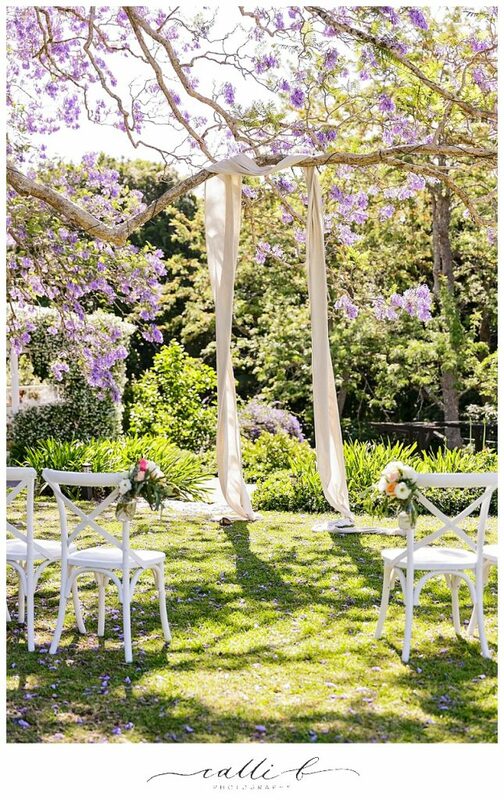 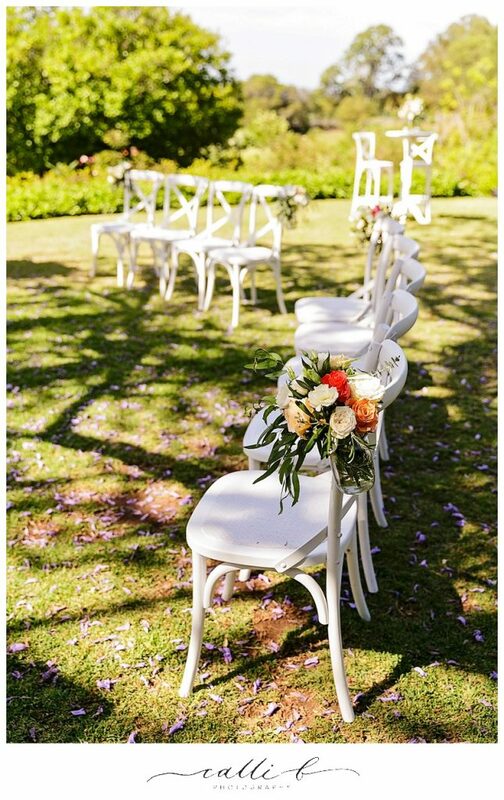 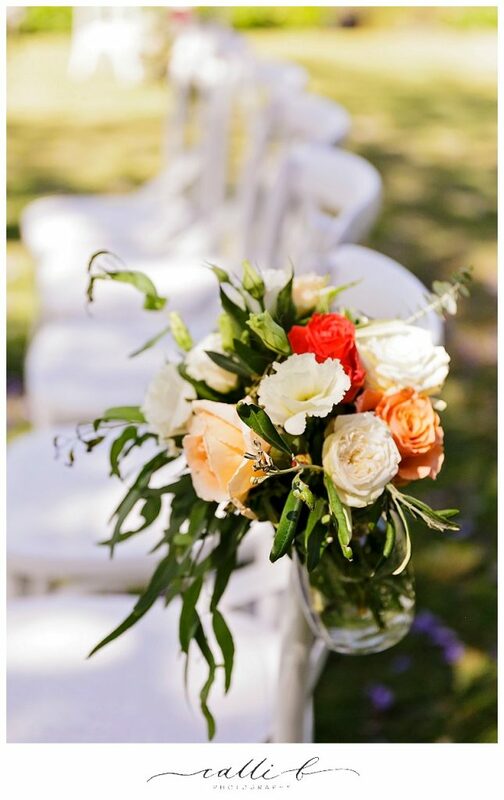 A sweet wedding ceremony space featuring soft floaty fabric and lovely chair jars was all that was needed for the simple elegant garden space. 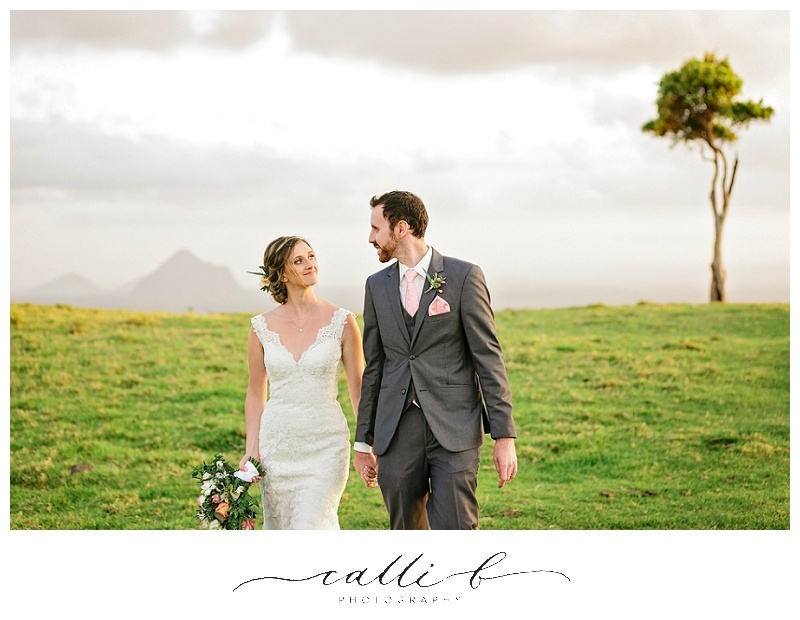 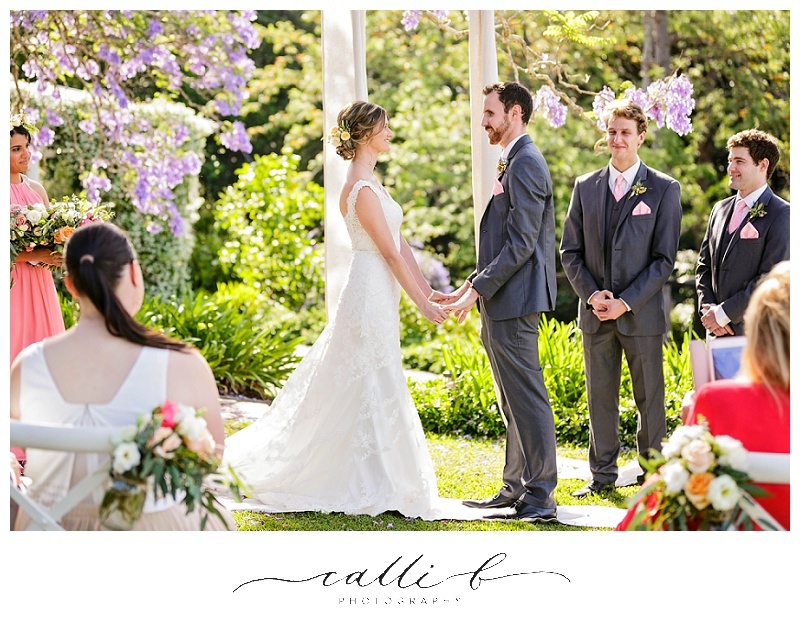 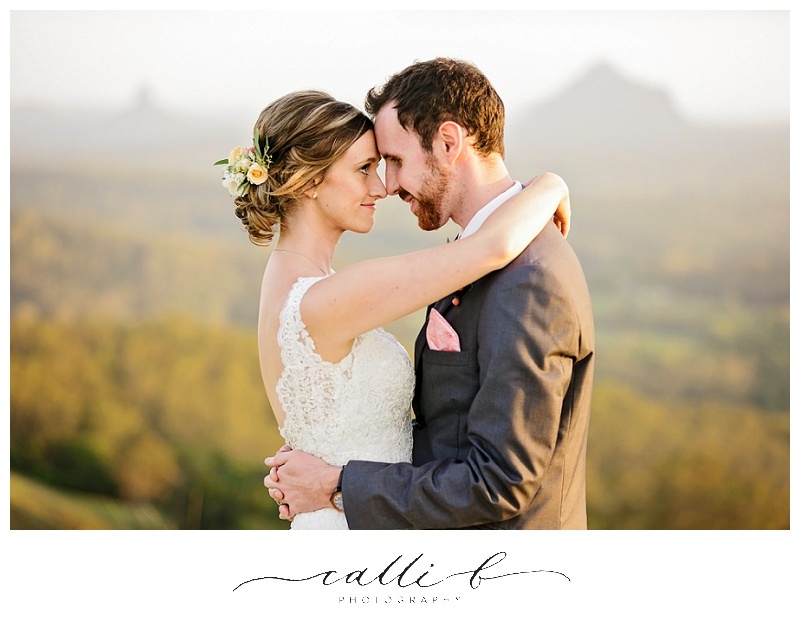 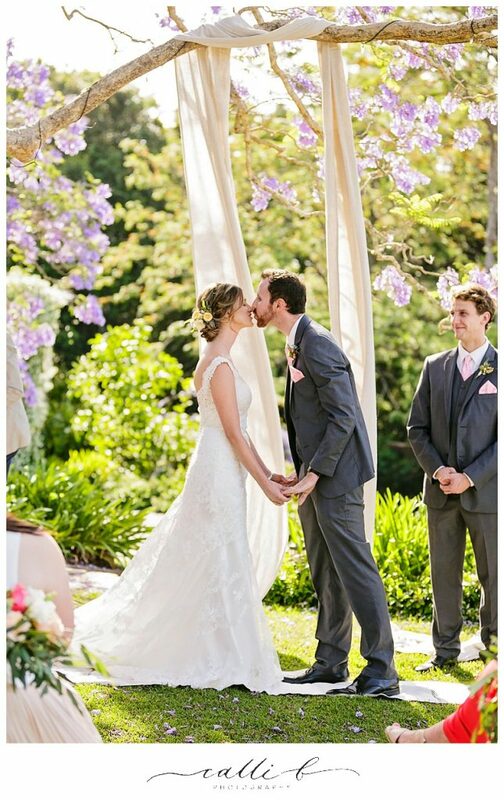 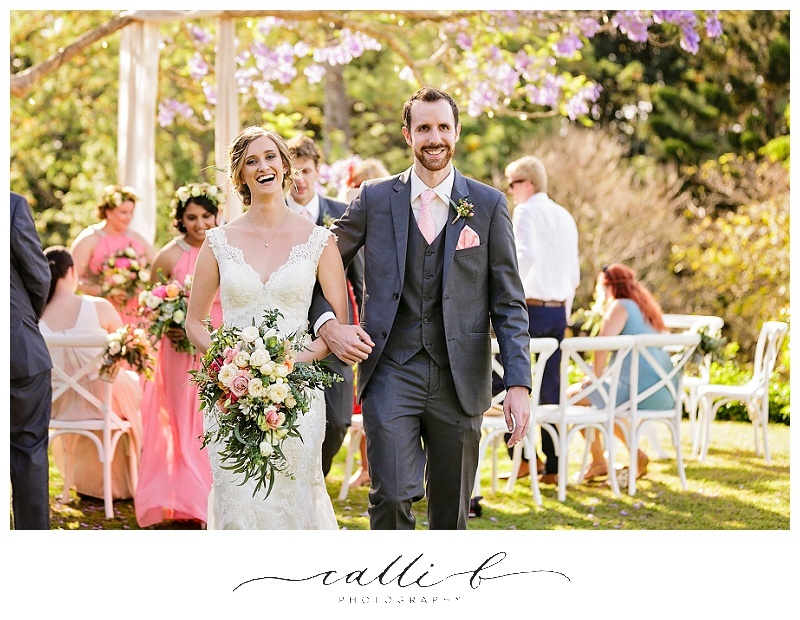 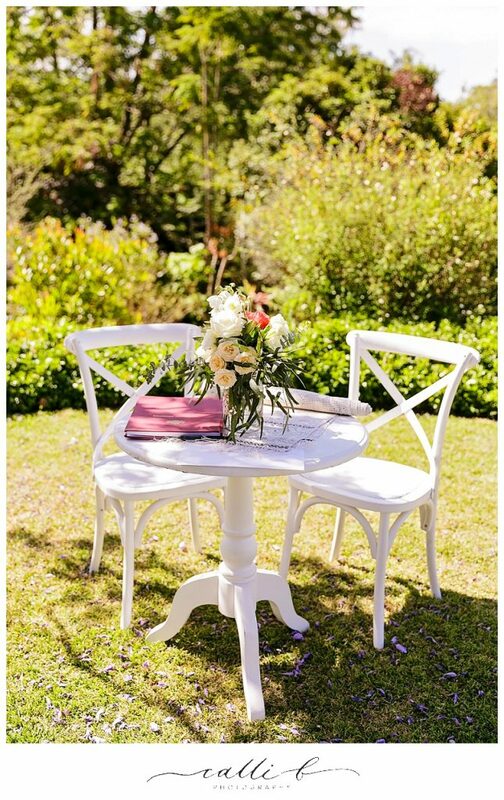 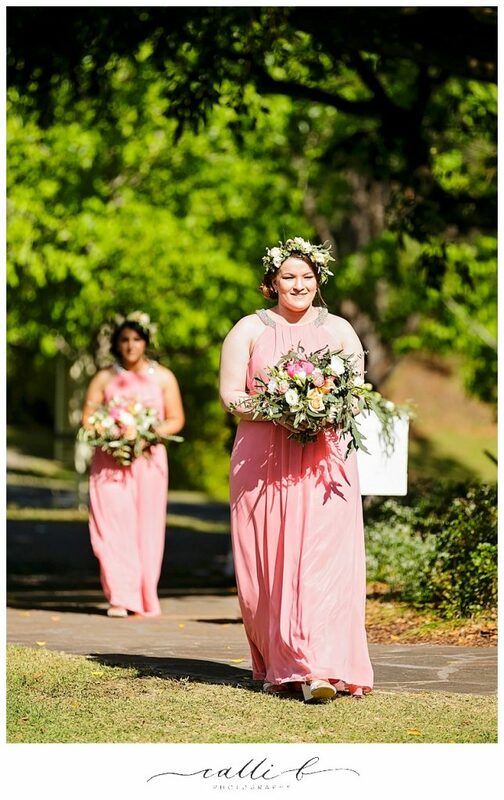 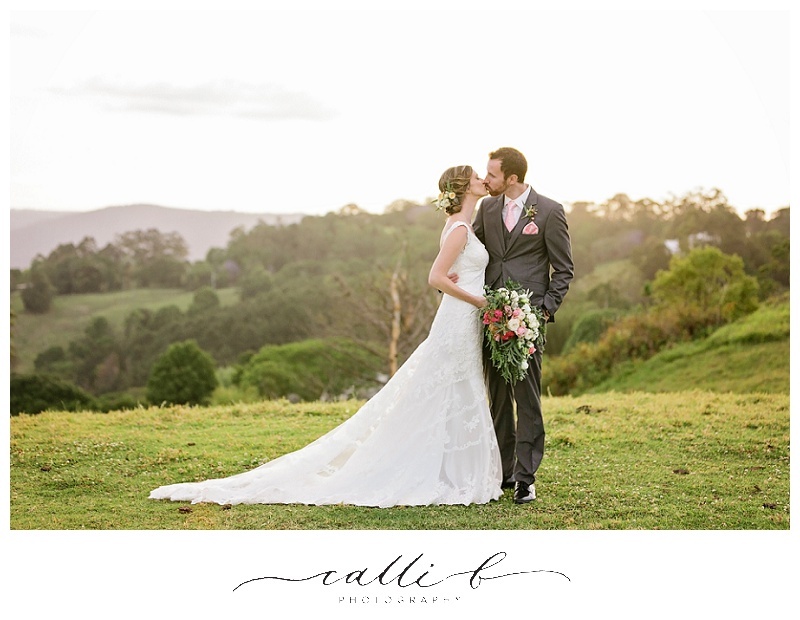 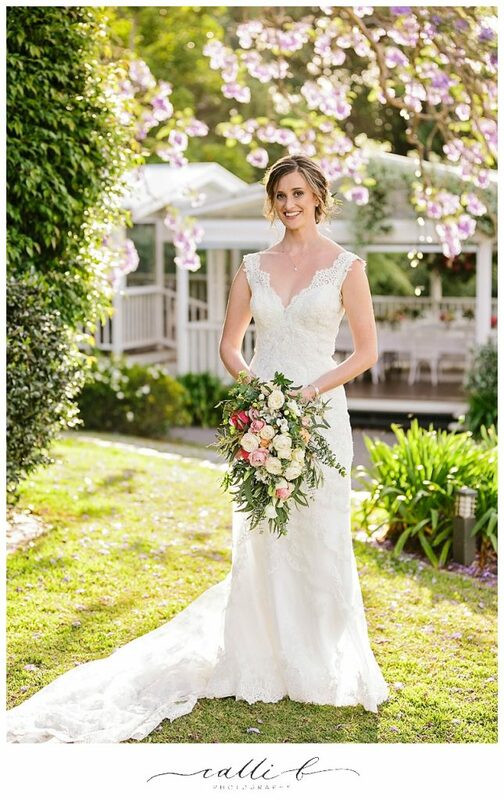 The surrounding lush landscape and beautiful plateau at Clovelly was shining brightly that day, with plenty of love and laughter provided by the small but much loved group of guests celebrating with garden wedding style at Spicers Clovelly Estate. 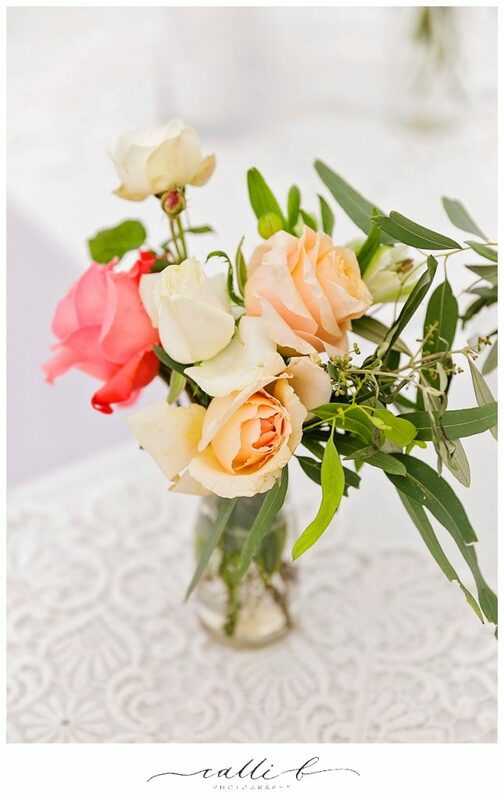 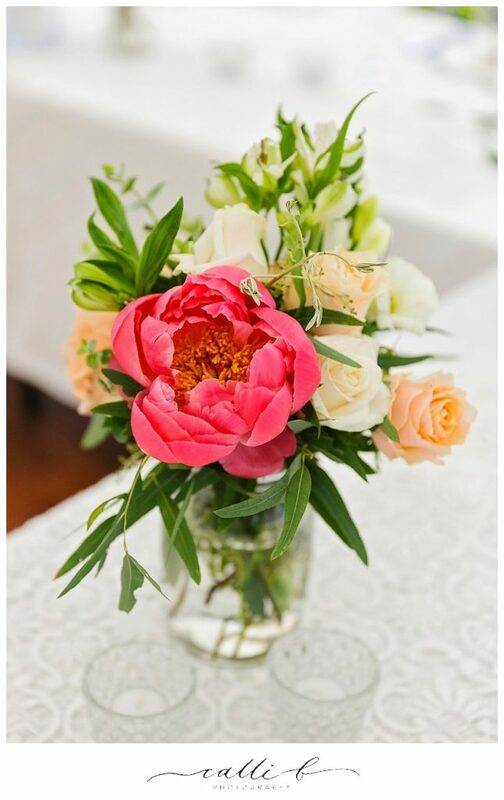 Summer flowers are some of our favourites to play with with and pretty peonies, David Austin roses and cottage roses were on show for the day. 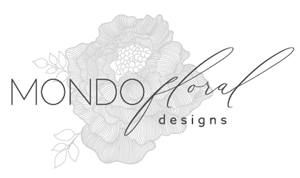 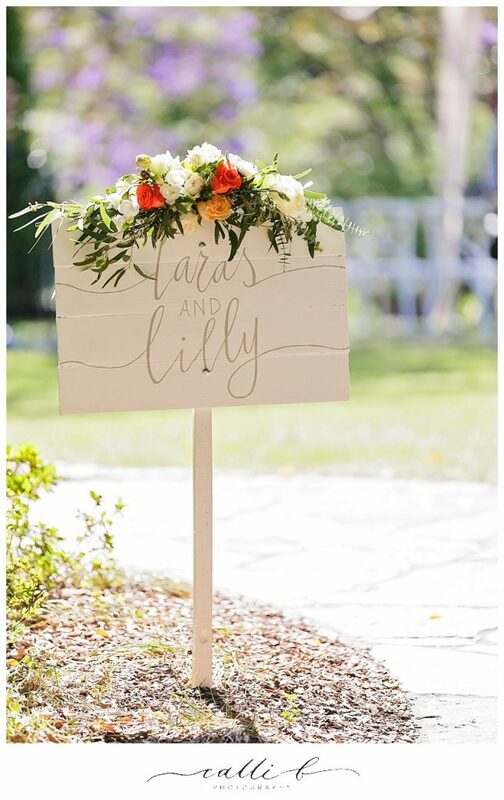 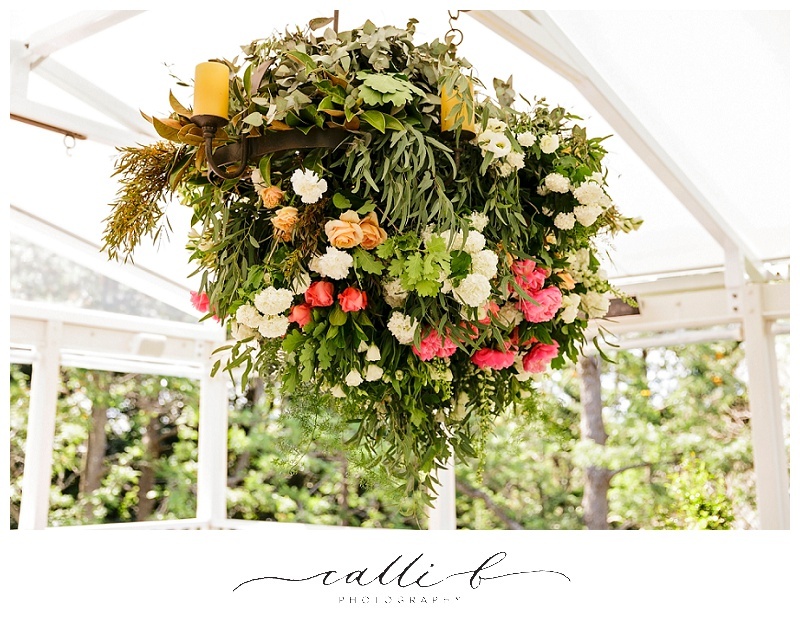 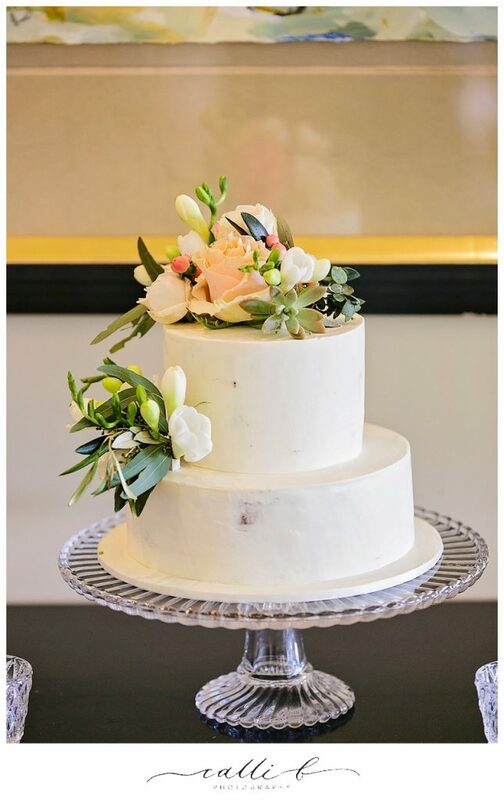 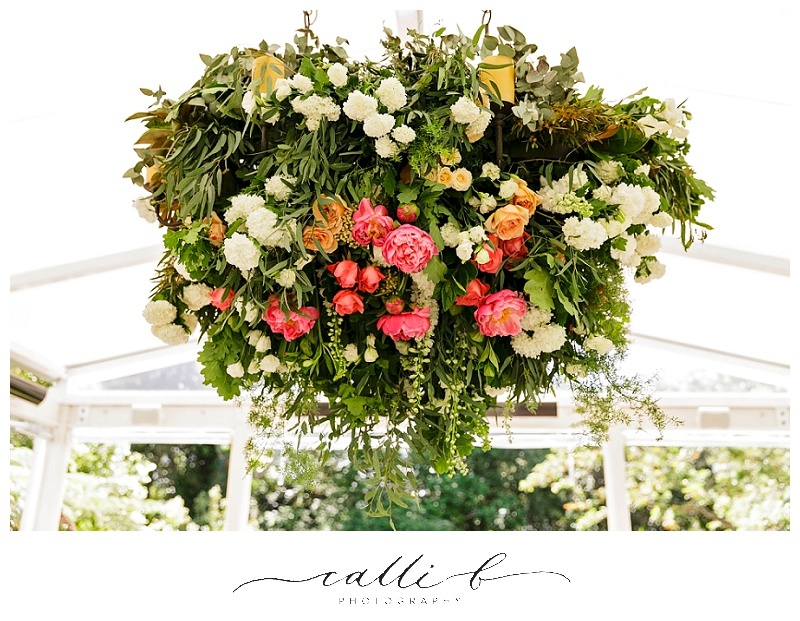 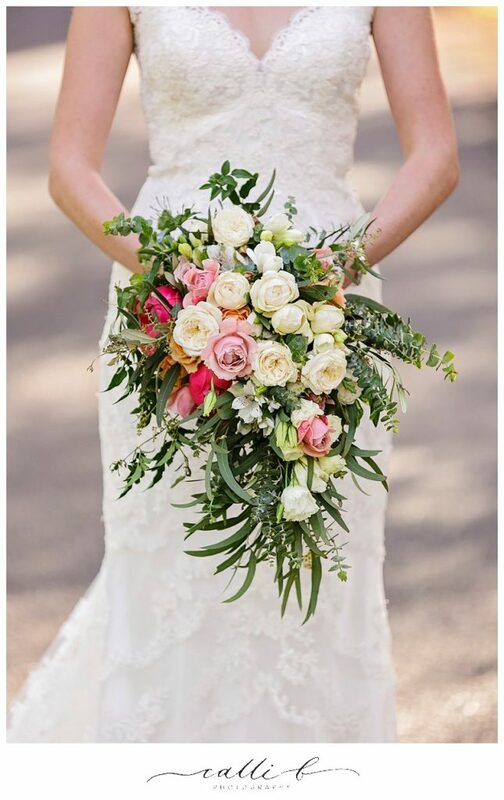 We created a whimsical cascading trailing design for Lily with touches of peach, apricot and hints of coral colours, and with rustic foliages partnered with sweet English country style garden blooms. 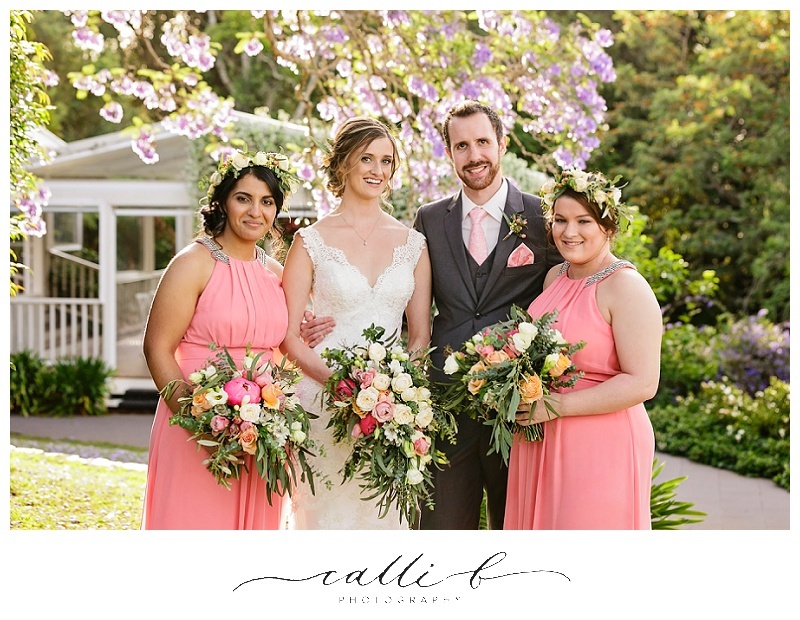 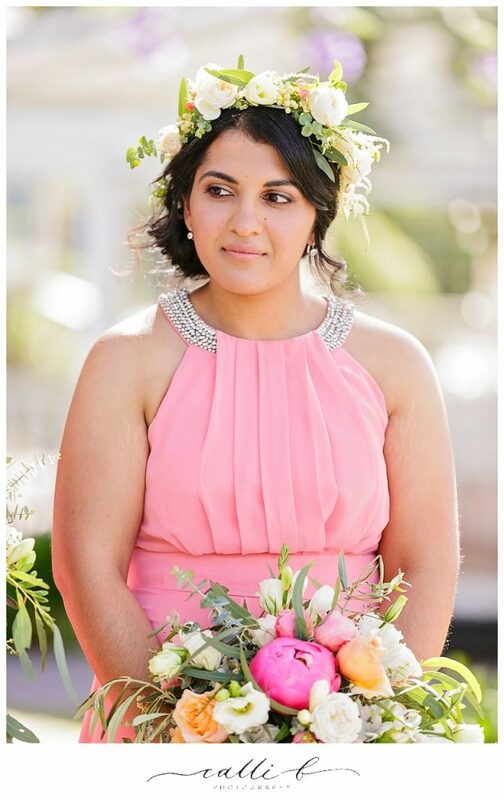 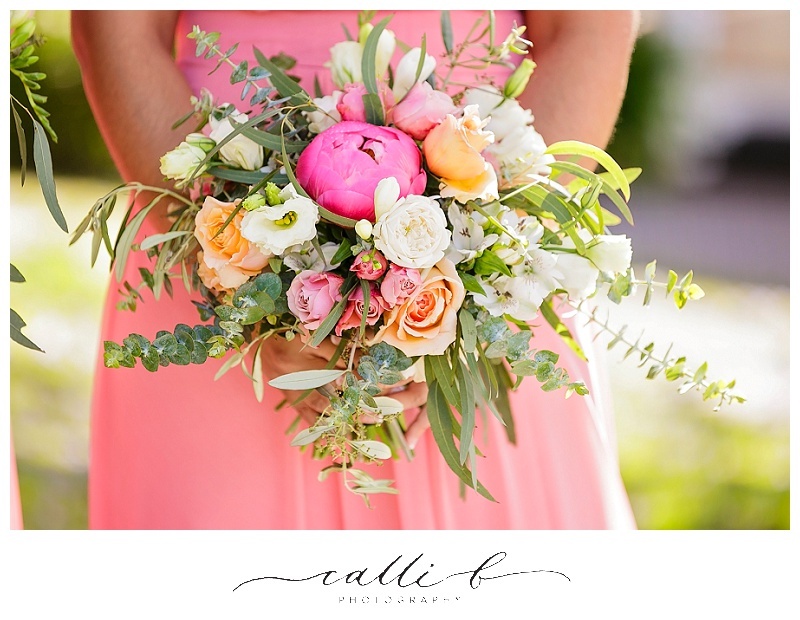 We just loved that pop of coral, it was so lovely in combination with the more subtle coloured blooms and also accented those dresses perfectly. 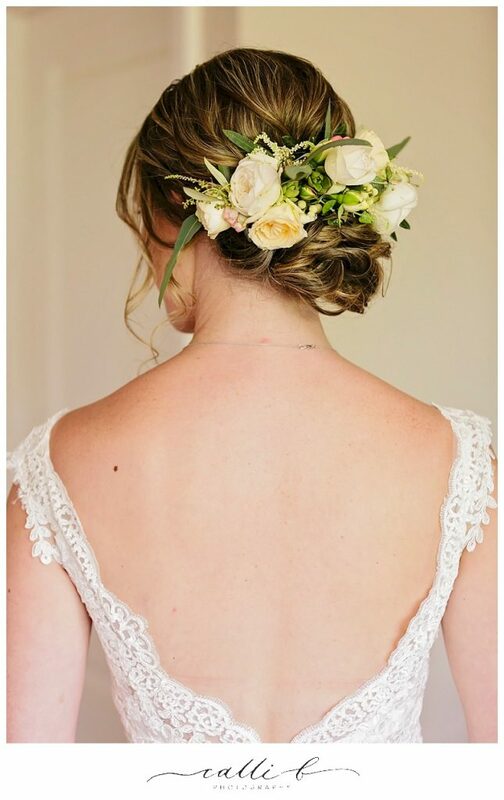 Pretty hair flowers also featured for our lovely bride, with touches of gum and rose blooms designed for her hair, and the bridesmaids carried smaller style posies of blooms and wore rustic inspired garlands in their hair. 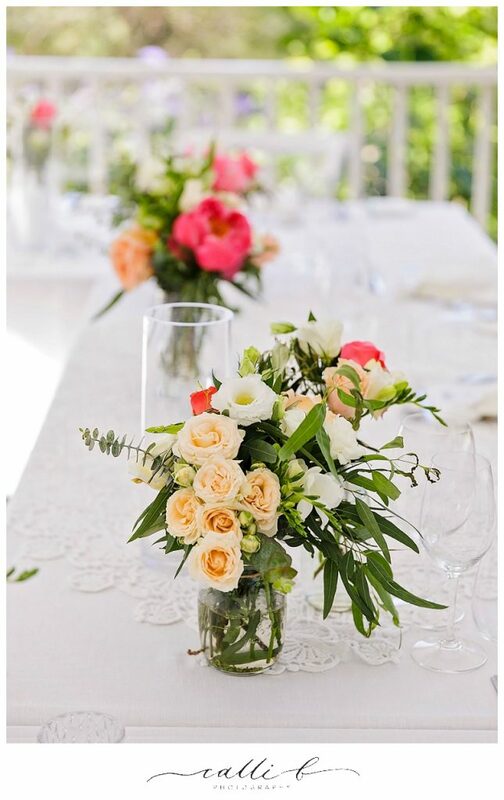 The reception space on the library deck hosted a lovely gathering of friends and family seated around the one larger style dining table. 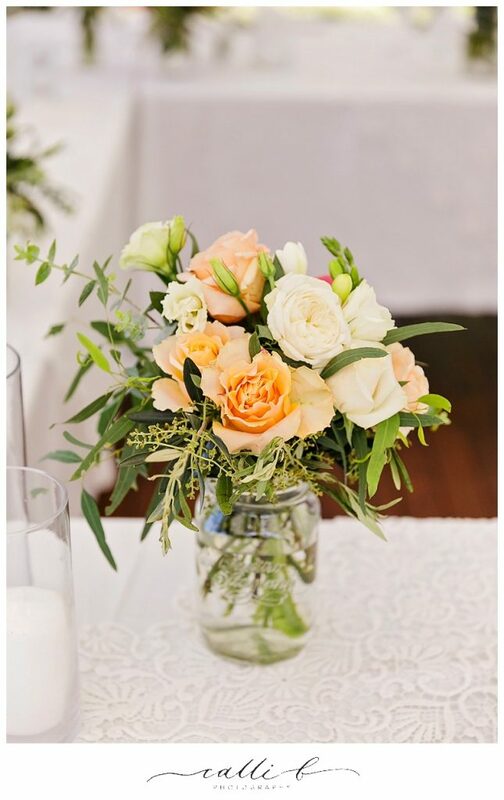 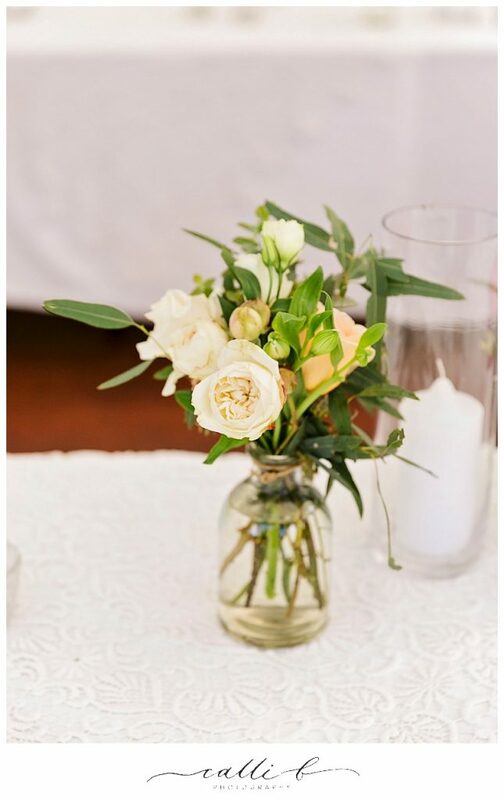 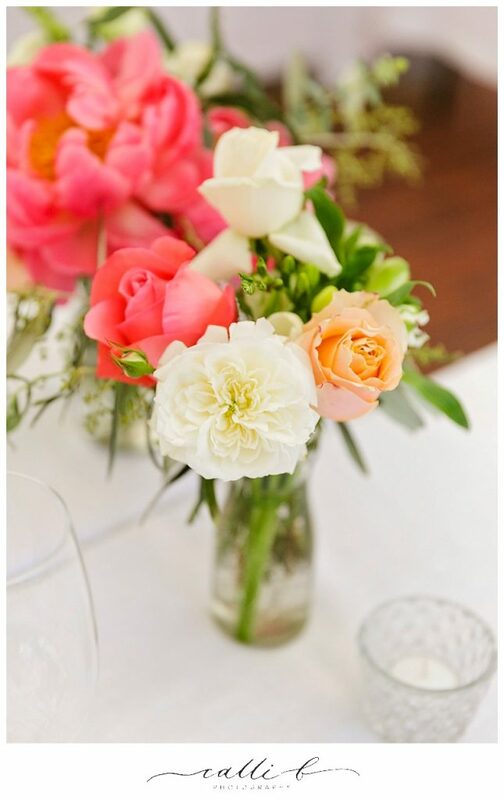 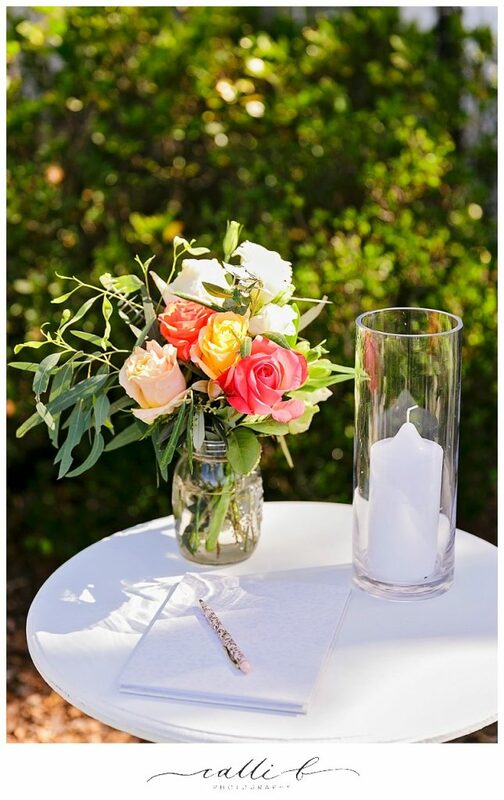 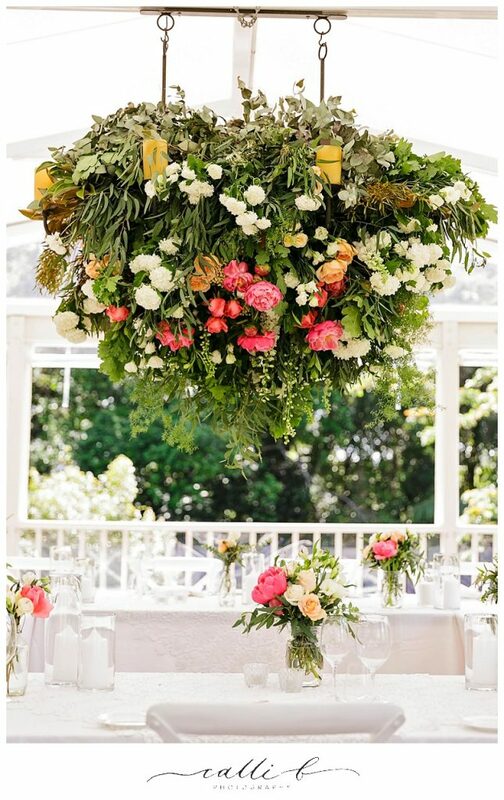 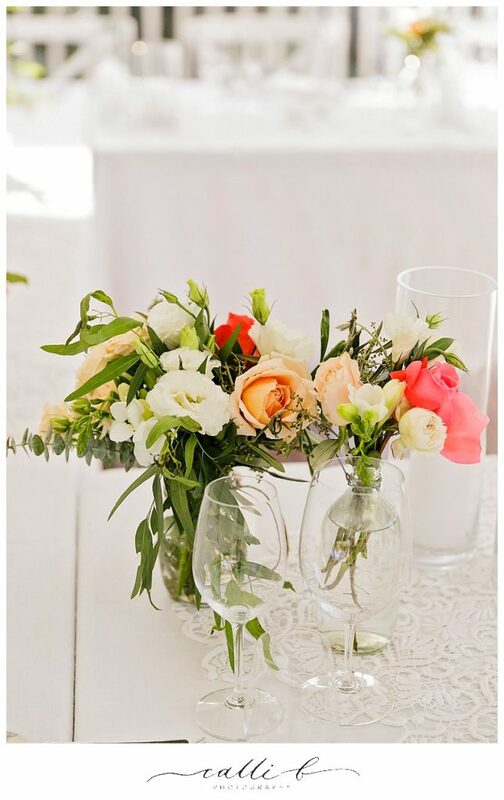 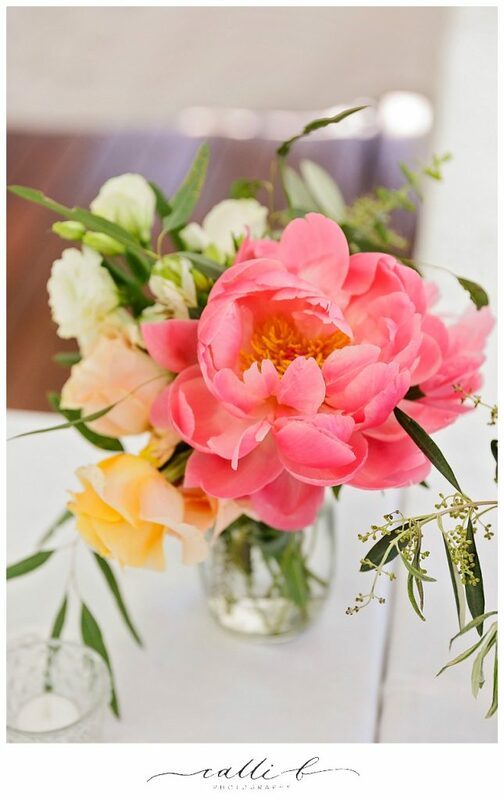 Country jars and bottles filled with beautiful blooms featured on the table with an oversized larger flower hanging installation dangling from above. 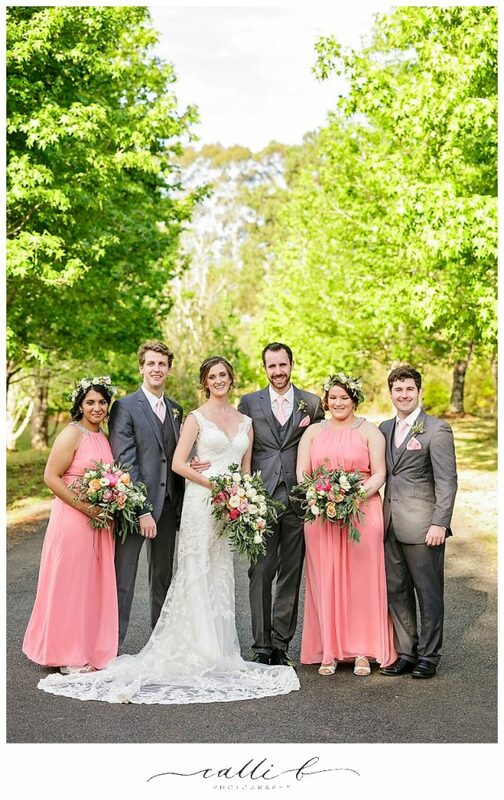 With small touches of rustic foliages including eucalypt gum, olive leaf and native greenery featuring, the laid back yet elegant dining style for Lily and Taras was just perfect for their intimate wedding celebrations. 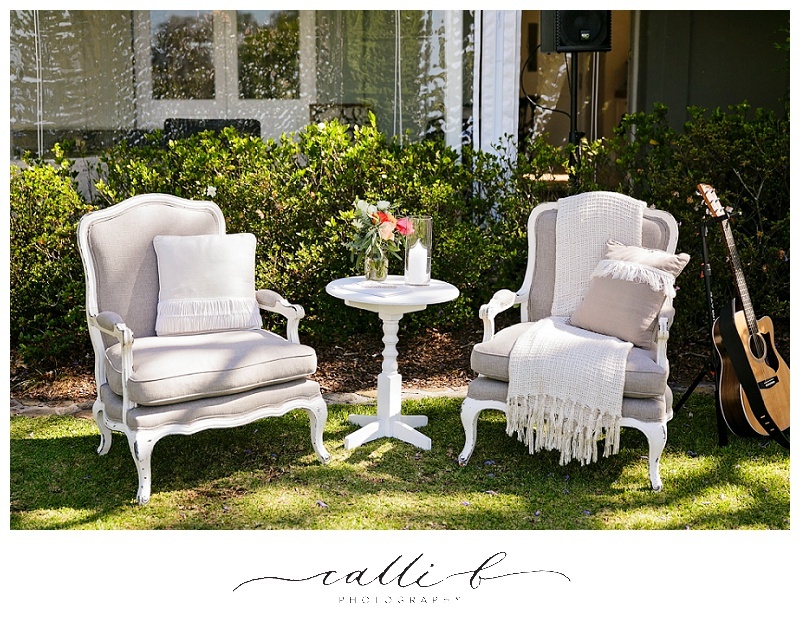 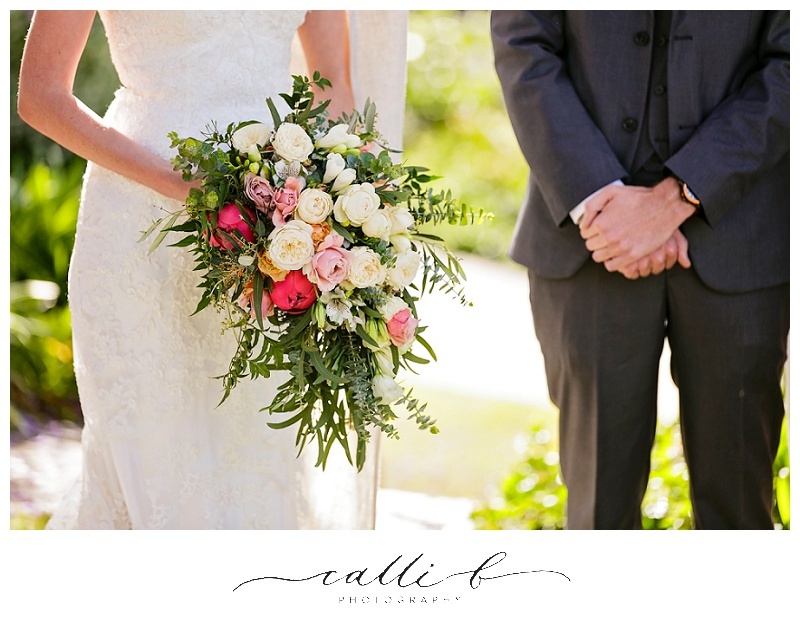 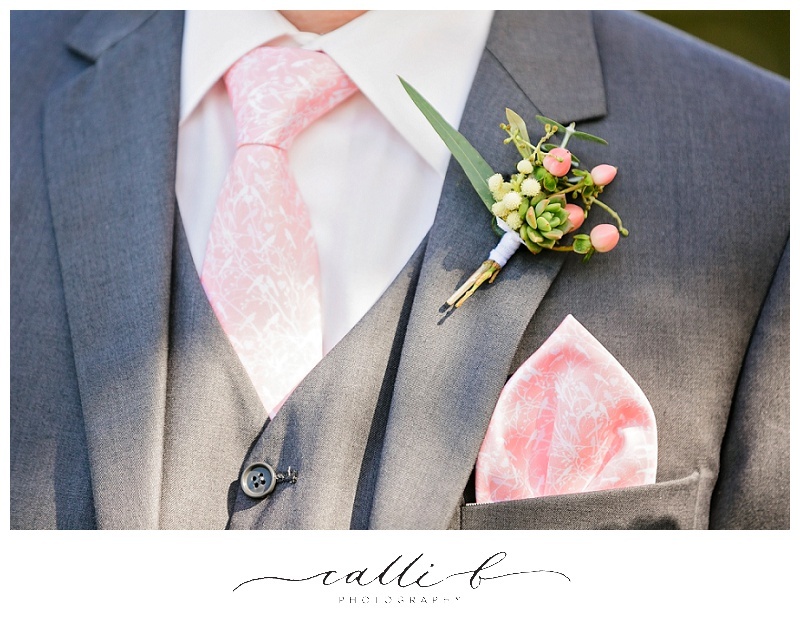 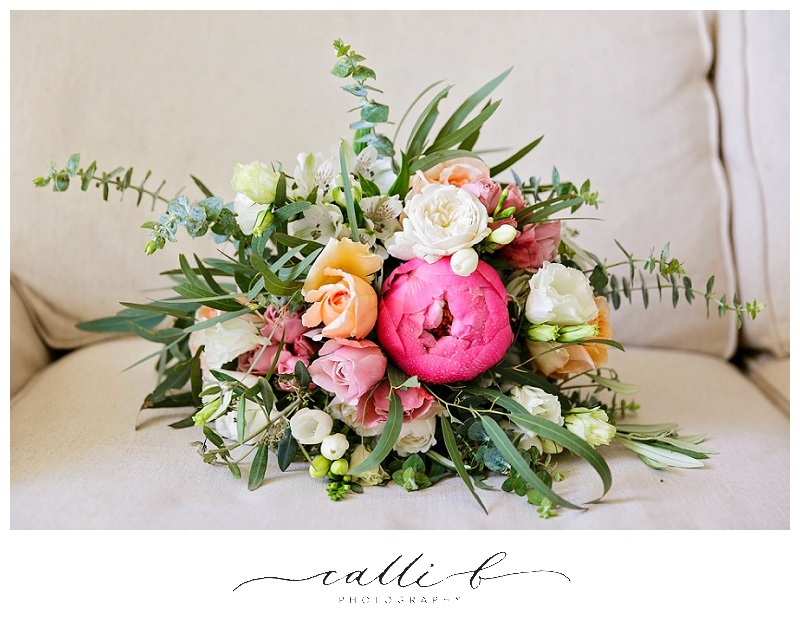 We hope you enjoy this sweet love story with styling and planning by Lovebird Weddings and beautiful images captured by Calli B Photography.